As a non-pharmacologic approach to effectively address acute, subacute and chronic non- cancer pain, integrative care management answers the needs of individuals nationwide. Without the use of drugs, how will they cope with pain? How can they get referrals and access to drug-free care that will be effective for acute, subacute and chronic pain? How can they ensure that their health care plans and insurance will cover the cost of non- pharmacologic care? While the chiropractic profession lauds many of the noteworthy announcements and strides to overcome opioid addiction, these recommendations fall short in providing meaningful answers and solutions for those who are suffering from pain. Closer examination of these legislative initiatives points to the absence of programs that address non-pharmacologic options for those fighting drug addiction, notably chiropractic care. When paired with the U.S. Surgeon General’s declaration of war on addiction,8 the government’s designation of “Prescription Opioid and Heroin Epidemic Awareness Week,” 9 and the commitment from 40 prescriber groups to ensure that 540,000 health care providers would complete training on appropriate opioid prescribing within two years,10 these “solutions” appear woefully inadequate to address the challenges of those who need effective, drug- free pain management. This follow-up discussion to “Chiropractic: A Safer Strategy than Opioids” (June 2016), examines the positive steps as well as the shortcomings of initiatives undertaken from July 2016 – March 2017 to address the opioid crisis. It also assesses the current landscape of opportunities to offer patients, doctors and payers meaningful programs to effectively address acute, subacute and chronic neck, low back and neuro-musculoskeletal pain without the use of painkillers. Perform first-line assessment and care for neck, back and neuro-musculoskeletal pain to avoid opiate prescribing from the first onset of pain. Provide care throughout treatment to mitigate the introduction of drugs. Offer an effective approach to acute, subacute and chronic pain management that helps addicts achieve a wellness focused, pain-free lifestyle as they reduce their utilization of opioids. It’s also a compelling opportunity for our health system, commercial and government payers, employers — and most importantly patients — to resolve the issues surrounding pain at lower costs, with improved outcomes and without drugs or surgery. Hospira (a Pfizer Inc. company) charges $142 for a 10-pack of naloxone — up 129 percent since 2012. Amphastar’s 1 milligram version of naloxone is used off-label as a nasal spray. It’s priced around $40 — a 95 percent increase since September 2014.
price goes up for naloxone, it becomes less accessible for patients,” said Ravi Gupta, the study’s lead author. 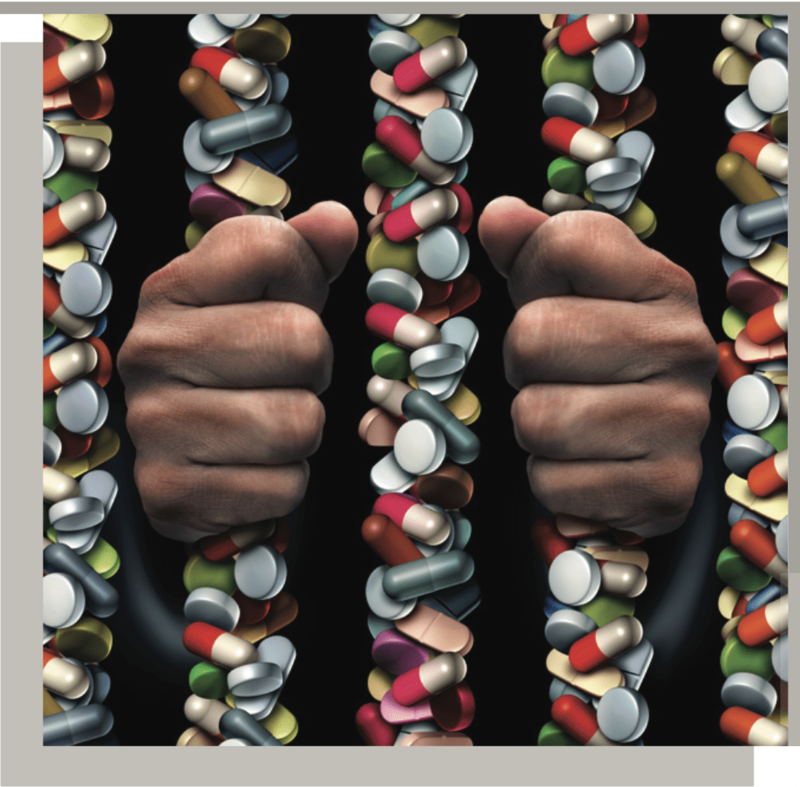 In the wake of this firestorm surrounding opioid abuse, and following the dissemination of prescribing guidelines introduced by the CDC, it becomes evident that certain market forces are influencing the battle against opioid addiction and the availability of drugs. The opioid market is worth nearly $10 billion in annual sales, and has expanded to include an unlimited universe of medications aimed at treating secondary effects rather than controlling pain.15 Given the financial incentives to produce, sell and distribute drugs, it’s no wonder that pharmaceutical companies (pharmcos) have a material interest in promoting drug utilization. This set of behaviors has drawn extensive criticism. —- Michael Botticelli, former White House drug policy director, commonly called the nation’s drug czar. While physicians have been responding to calls for more responsible prescribing, the drug industry has historically been accused of providing physicians with misleading information regarding the addictive qualities of certain drugs.Appropriate education of prescribers is a key component of necessary change. For example, when semisynthetic opioids like oxycodone and hydrocodone — found in Percocet and Vicodin respectively — were first approved in the mid–20th century, they were recommended only for managing pain during terminal illnesses such as cancer, or for acute short-term pain, like recovery from surgery, to ensure patients wouldn’t get addicted. But in the 1990s, doctors came under increasing pressure to use opioids to treat the millions of Americans suffering from chronic non-malignant conditions, like back pain and osteoarthritis. Today, drug makers may be getting their ‘wings clipped’ with the introduction of new government directives slashing production of popular prescription painkillers. In 2016, the U.S. Drug Enforcement Administration (DEA) finalized a previous order on 2017 production quotas for a variety of Schedule I and II drugs, including addictive narcotics like oxycodone, hydromorphone, codeine and fentanyl. The agency has the authority to set limits on manufacturing under the Controlled Substances Act. The DEA said it is reducing “the amount of almost every Schedule II opiate and opioid medication” by at least 25 percent.18 Some, like hydrocodone, commonly known by brand names like Vicodin or Lortab, will be cut by one-third. In its national update released Dec. 16, 2016 in the Morbidity and Mortality Weekly Report, the CDC reported that more than 300,000 Americans have lost their lives to an opioid overdose since 2000. These independent sources also found that the drug makers and allied advocacy groups employed an annual average of 1,350 lobbyists in legislative hubs from 2006 through 2015, when opioids’ addictive nature came under increasing scrutiny. Undaunted by these interferences, and buoyed by a thirst for profits, pharmcos are now fueling other creative solutions to drive even greater revenues from the sale and distribution of drugs. Skeptics warn that they carry the same risks of addiction as other opioid versions, and the U.S. FDA noted that they don’t prevent the most common form of abuse — swallowing pills whole. Drug makers have discovered yet another way to profit from addicts taking high doses of prescription opioid painkillers – the new billion-dollar drug to treat opioid-induced constipation (OIC) rather than controlling pain. While there is continued pressure to limit the number and scope of opiates for patients, new government statistics reveal that drug overdose deaths continue to surge in the United States, now exceeding the number of deaths caused by motor vehicle accidents.27 Although it is reported that the number of opioid prescriptions has fallen across the U.S. over the past three years, with intermittent data on this decline in states such as West Virginia and Ohio, they still kill more Americans each year than any other drug. Regardless of whether these issues are viewed from the perspective of patients, clinician prescribers, or government regulators, the status quo is clearly not acceptable. “My new patient didn’t mention his back pain until the very end of the visit.As he was rising to leave, he asked casually if I could refill his Percocet. I told him I am not a pain or a back specialist and that I generally prescribe muscle relaxants or anti-inflammatory medications for back pain — not opioids, which are addictive and do not really treat the underlying problem. The patient persisted. He said his prior internist always prescribed it, and the medication also helped his mood. He promised he had its use under control and did not feel he needed to take more and more to achieve the same effect. I didn’t relent. I offered to refer him to a back specialist instead. It was an uncomfortable end to an otherwise positive visit. 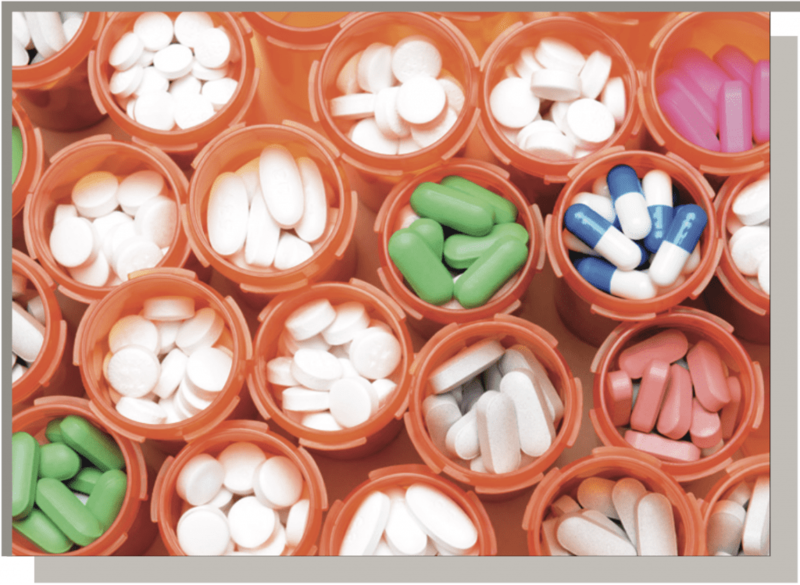 Clinical prescribers of pain medications are beginning to recognize their responsibilities for increased prescribing vigilance, and are expected to become important advocates for drug-free pain care. More than half of doctors across America are curtailing opioid prescriptions, and nearly 1 in 10 have stopped prescribing the drugs, according to a new nationwide online survey. More than one-third of the respondents said the reduction in prescribing has hurt patients with chronic pain. The survey, conducted for The Boston Globe by the SERMO physicians social network, offers fresh evidence of the changes in prescribing practices in response to the opioid crisis that has killed thousands in New England and elsewhere around the country.The deaths awakened fears of addiction and accidental overdose, and led to state and federal regulations aimed at reining in excessive prescribing. Prescription drug monitoring programs (PDMPs), launched in 2013, are state-run electronic databases used to track the prescribing and dispensing of controlled prescription drugs to patients.They are designed to monitor this information for suspected abuse or diversion (i.e., channeling drugs into illegal use), and can give a prescriber or pharmacist critical information regarding a patient’s controlled substance prescription history.This information can help prescribers and pharmacists identify patients at high-risk who would benefit from early interventions. Researchers found misuse of prescription painkillers and street opioids climbed nationwide, related hospital stays jumped from 137 per 100,000 people to 225 per 100,000 in that decade. States where overdoses required at least 70 percent more hospital beds between 2009 and 2014 were North Carolina, Oregon, South Dakota and Washington. However, continued pressure on physician prescribing patterns and opportunities for therapies other than opioids may be paying off. Prescriptions for powerful painkillers dropped significantly among patients covered by Massachusetts’ largest insurer after measures were introduced to reduce opioid use.36 The Blue Cross Blue Shield of Massachusetts program serves as an example of a private health insurer collaborating on a public health goal. In 2012, the insurer — the state’s largest, with 2.8 million members — instituted a program intended to induce doctors and patients to weigh the risks of opioids and consider alternatives.As part of that initiative, first-time opioid prescriptions are limited to 15 days, with a refill allowed for 15 more days. Blue Cross must approve in advance any prescription for longer than a month or for any long-acting opioid such as OxyContin. Pharmacy mail orders for opioids are prohibited. Doctors and others who prescribe must assess the patient’s risk of abusing drugs and develop a treatment plan that considers options other than opioids. And patients with chronic pain are referred to case managers who advise on therapies other than opioids. In another example, Highmark (Pennsylvania) shared data in December 2016 showing that the number of prescriptions for opioids it reimbursed in each of the past three months was lower than in any of the prior nine months. One leading health plan in the state reported that 16 percent of its insured population received at least one opioid prescription in 2016, down from 20 percent in 2015.38 UPMC Health Plan indicated it is using “an algorithm to identify patients who may be at risk for opioid addiction,” and training doctors to use other pain management tools. The earlier sections of this white paper have focused on the continuing and growing problem of opioid use, abuse and addiction. It is essential that this information is understood and appreciated as it clearly calls for a wholesale change in the approach American health care providers and patients bring to the care and management of pain. No matter what is done to address the use, abuse and addiction associated with opioids it is a fact of life that opioid containing products will continue to be required by individuals suffering severe, intractable and unrelenting pain.This issue is not about the cessation of all opioid use, rather it is about not turning to opioids before they are required, and not until all less onerous approaches to pain management have been exhausted. How can they get referrals and access to drug-free care that will be effective for both acute, subacute and chronic pain? As we have previously noted the CDC, FDA and IOM have all called for the early use of non- pharmacologic approaches to pain and pain management. Unfortunately, beyond asserting the need to move in this direction, little, if any, guidance has been offered to providers, patients and payors on how to accomplish this important transition. It is a fact that a chasm exists between the worlds of pharmacologic based management of pain, and the non-pharmacologic based management of pain. Medical physicians are not going to suddenly attain knowledge and understanding of practices, procedures and management options that they have never been trained in or exposed to. Similarly, the non-pharmacologic providers addressing pain management do not encounter or understand the barriers that prevent prescribers from directing patients toward non-pharma approaches.These two spheres of healthcare are distinct and separate, and demonstrate little, if any, knowledge about the other. 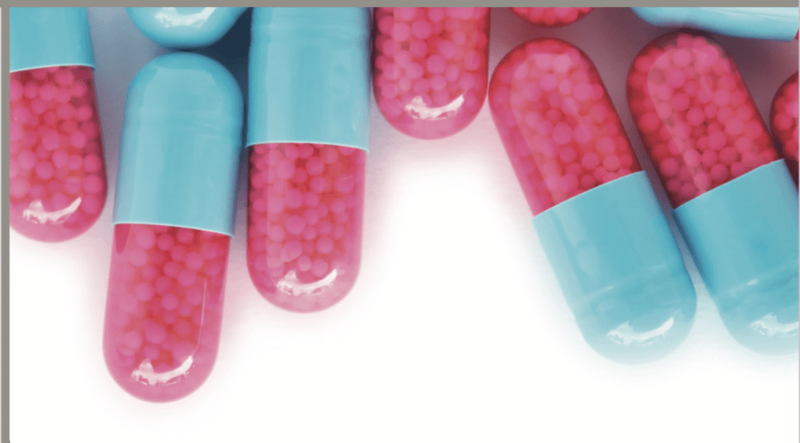 The first step is to provide resources to prescribers that will detail the indications, effectiveness, efficiency and safety of non-pharmacologic approaches. In particular, the chiropractic profession, through its 70,000 practitioners in the United States, represents a significant and proven non- pharmacologic approach for reducing the need for opioids, opioid-related products and non- opioid pain medications. Chiropractic, like other complementary health care approaches, suffers from a lack of awareness about its high level of education, credentialing and regulation. In addition, a substantial awareness gap exists among frontline providers in terms of referring patients to chiropractors as part of patient care. The chiropractic profession and the health care consumer are equally supported by a robust oversight infrastructure.This infrastructure ranges from institutional and programmatic accreditation of chiropractic education by agencies recognized by the U.S. Department of Education to standardize national credentialing examinations and licensure by state agencies and ongoing professional development as a requirement for continued practice in many states. Typically, after earning a Bachelor of Science, chiropractors follow a four-year curriculum to earn a Doctor of Chiropractic (DC) as a prerequisite to earning the right to independent practice. Chiropractic, medical, osteopathic, dental, optometric and naturopathic education share a similar foundation in the basic sciences, followed by discipline-specific content that focuses on the unique contribution of each provider type. For example, a medical student pursues the study of pharmacology and surgery, while a chiropractic student studies the intricacies of manual approaches to health care and the acquisition of the skills needed to perform spinal adjusting or manipulation. Chiropractors also pursue specialization in specific areas, such as radiology, through structured residency programs, similar to other disciplines. DCs also pursue focus areas related to various methods of spinal adjusting and related patient management. For over a century, DCs have studied the relationship between structure, primarily the spine, and function, primarily of the nervous system, and how this interrelationship impacts health and well- being. 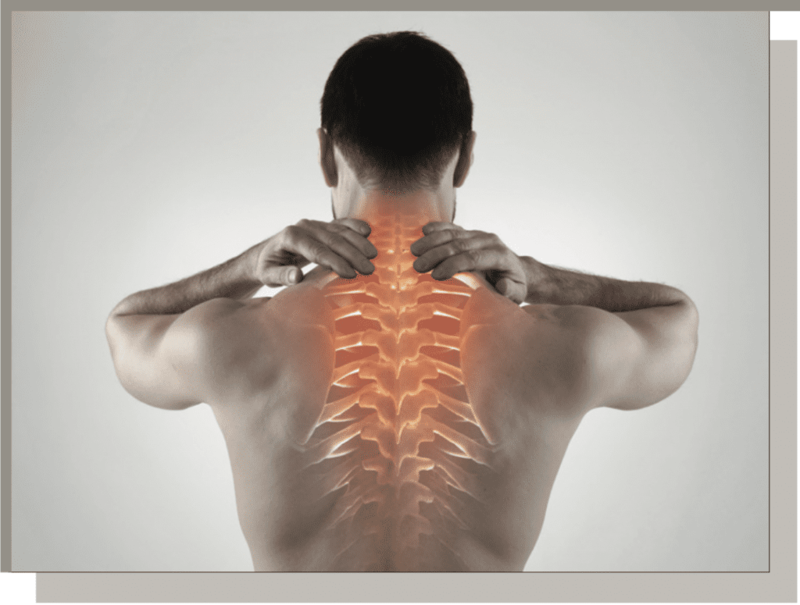 Due to this emphasis on the spine, chiropractors have become associated with spinal and skeletal pain syndromes, and bring their non-surgical, non-drug rationale to the management of these problems. DCs are the quintessential example of non-pharmacologic providers of health care with particular expertise in neuro-musculoskeletal conditions. While the United States is attempting to deal with its opioid epidemic, our nation is making only limited headway in providing non-pharmacologic approaches to patients with pain. all patients who suffer from an episode of low back pain will have a recurrent episode within one year.41 Surgery has a very limited role in the management of spinal pain, and is only considered appropriate in a handful of cases per hundred patients. Likewise, opioids have very limited utility in the spinal pain environment with the recommended use of these drugs being limited to three days. When asked about four common types of pain, respondents of a National Institute of Health Statistics survey indicated that low back pain was the most common (27 percent), followed by severe headache or migraine pain (15 percent), neck pain (15 percent) and facial ache or pain (4 percent). Adults with low back pain are often in worse physical and mental health than people who do not have low back pain: 28 percent of adults with low back pain report limited activity due to a chronic condition, as compared to 10 percent of adults who do not have low back pain. Also, adults reporting low back pain were three times as likely to be in fair or poor health and more than four times as likely to experience serious psychological distress as people without low back pain. Care pathways and clinical guidelines need to be modified to bring greater attention to the use of non-pharmacologic approaches to pain management. 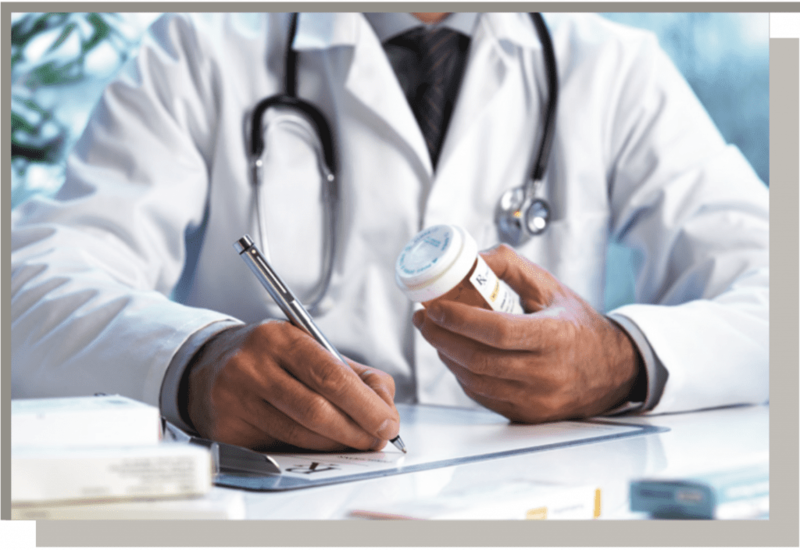 Primary medical care providers must be encouraged to make recommendations or referrals to drug-free resources and appropriate providers, such as DCs, rather than turning to the prescription pad when managing patients who have pain, particularly those with spinal pain. Patients should be educated about non- pharmacologic options for dealing with pain first and foremost, and the dangers of opioids. For these good intentions to be effective, drug-free pathways will need to be funded by payers in the private sector and government. Government leadership and policy support for introducing innovative reimbursement initiatives by the CMS is a critical step toward allowing health providers to acquire familiarity with non-pharmaceutical approaches.These could frame and stimulate use of evidence-based care options and promote referrals, access to care and reimbursement. By re- engineering these approaches to care to fit the current health care landscape, rather than simply reacting to the opioid crisis by de-emphasizing pain treatment, CMS can better serve patients. Fortunately, progressive thinking is gaining traction in this area. In a January 5, 2017 posting on the CMS Blog, authors wrote that the CMS is focusing on significant programs, including increased use of evidence-based practices for acute and chronic pain management. While we applaud CMS, we feel it is important to point out that this approach begins with a focus on how opioids are prescribed.The focus needs to shift to early applications of non-pharmacologic approaches first and not as a follow-on after the drug path has been established. 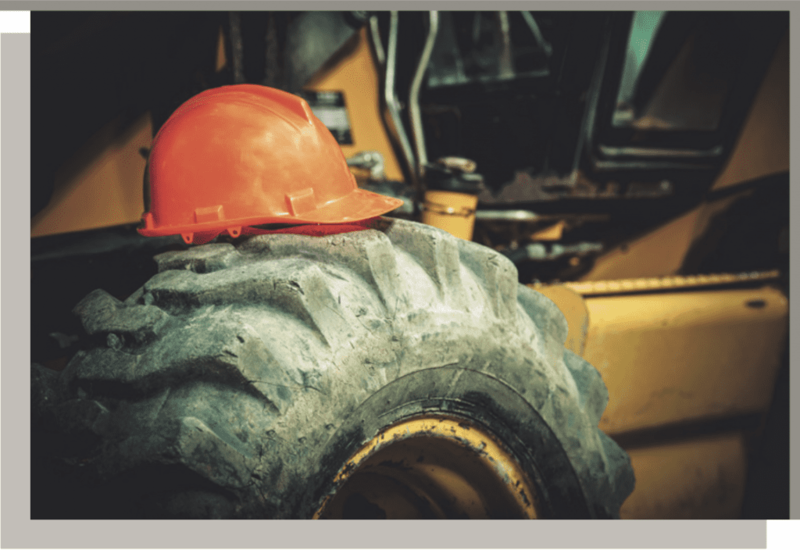 Opiates are not a safe alternative especially when operating heavy machinery, transportation or caring for patients because side effects can alter performance and have tragic outcomes. When compared with medical doctors, chiropractors were associated with shorter duration of compensation and physical therapists (PT) with longer ones.There was also greater likelihood that PT patients were more likely to seek additional types of care that incurred longer compensation duration. A September 2016 NASHP report states that although most Medicaid agencies cover services that can be used as alternatives to opioids for pain management, significantly fewer states have policies or procedures in place to encourage their use. Between March and June 2016, NASHP conducted a survey of all 51 Medicaid agencies to determine the extent to which states have implemented specific programs or policies to encourage or require non-opioid therapies for acute or chronic non-cancer pain.They contacted each Medicaid director via email and, in cases of non-response, followed up with Medicaid medical directors. Ultimately, they received responses from 41 states and the District of Columbia. • 39 reimbursed physical therapy services. Among the key findings, researchers found most Medicaid agencies cover services that can be used to treat pain in lieu of opioids, but less than half have taken steps to specifically encourage or require their use. Non-pharmacological therapies commonly used to address pain include physical therapy, cognitive behavioral therapy, and exercise, as well as other services, commonly known as Complementary and Alternative Medicine (CAM), including chiropractic manipulation, acupuncture and massage. This finding is substantiated in Rhode Island, where the state’s Section 1115 Demonstration authorizes certain individuals enrolled in Medicaid managed care delivery systems to receive CAM services for chronic pain.59 Rhode Island Medicaid has implemented this benefit through its Communities of Care program, a state initiative designed to reduce unnecessary emergency room utilization. Medicaid managed care enrollees with four or more emergency room visits within a 12-month period are eligible to receive acupuncture, chiropractic or massage therapy services. The state’s two managed care plans, Neighborhood Health Plan of Rhode Island (NHPRI) and United HealthCare of New England, were responsible for developing participation criteria for their enrollees. For example, NPRHI published clinical practice guidelines for its Ease the Pain program, which specified when CAM services referrals were appropriate. Under NHPRI’s guidelines, qualifying individuals diagnosed with back pain, neck pain, and fibromyalgia can be referred for chiropractic services, acupuncture and massage. Substantiating the results for CAM, Advanced Medicine Integration Group, L.P. in Rhode Island contracted with the two health plans to identify and manage their Medicaid eligible members suffering from chronic pain through its Integrated Chronic Pain Program (ICPP).The target Medicaid population for this program was the Community of Care (CoC) segment — high utilizers of ER visits and opioids/pharmaceuticals. The objectives of the ICPP are to reduce pain levels (and opioid use), improve function and overall health outcomes, reduce emergency room costs and, through a holistic approach and behavioral change models, educate members in self-care and accountability. The design of the program for this patient population features holistic nurse case management with directed use of patient education, community services and CAM modalities, including chiropractic care, acupuncture and massage. Individuals with chronic pain conditions were identified using proprietary predictive modeling algorithms applied to paid claims data to determine opportunities for reducing chronic pain-related utilization and costs. These reductions exceeded by two to three times those reported for a non-enrolled control group of conventionally managed CoC chronic pain patients. Every $1 spent on CAM services and program fees resulted in $2.41 of medical expense savings. The purpose of this study is to evaluate the effectiveness of chiropractic manipulative therapy for pain management and improved function in active duty service members with low back pain that do not require surgery.The study also measures the impact of a tobacco cessation program delivered to participants allocated to the chiropractic arm. Low back pain (LBP) is the most common cause of disability worldwide, but it is even more prevalent in active duty military personnel. More than 50 percent of all diagnoses resulting in disability discharges from the military across all branches are due to musculoskeletal conditions. LBP has been characterized as “The Silent Military Threat” because of its negative impact on mission readiness and the degree to which it compromises a fit fighting force. For these reasons, military personnel with LBP need a practical and effective treatment that relieves their pain and allows them to return to duty quickly. 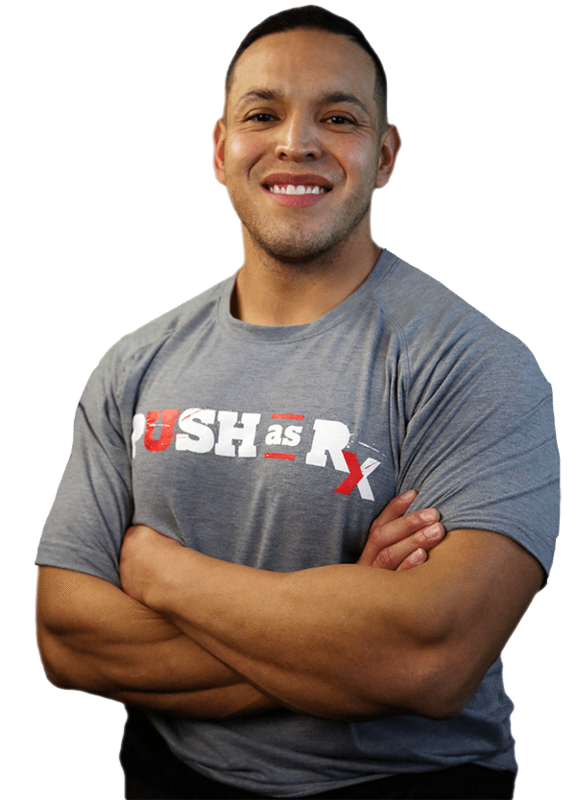 It must preserve function and military readiness, address the underlying causes of the episode and protect against re-injury. This multisite Phase II Clinical Comparative Effectiveness Trial is designed to rigorously compare the outcomes of chiropractic manipulative therapy (CMT) and conventional medical care (CMC) to CMC alone. Chiropractic treatment will include CMT plus ancillary physiotherapeutic interventions. CMC will be delivered following current standards of medical practice at each site. At each of the four participating sites, active military personnel, ages 18 to 50, who present with acute, sub-acute or chronic LBP that does not require surgery will be randomized to one of the two treatment groups. Outcome measures include the Numerical Rating Scale for pain, the Roland-Morris Low Back Pain and Disability questionnaire, the Back Pain Functional Scale for assessing function, and the Global Improvement questionnaire for patient perception regarding improvement in function. Patient Expectation and Patient Satisfaction questionnaires will be used to examine volunteer expectations toward care and perceptions of that care. Pharmaceutical use and duty status data will also be collected.The Patient Reported Outcomes Measurement Information System (PROMIS-29) will be utilized to compare the general health component and quality of life of the sample at baseline. 35.62 Results reported in the journal SPINE showed that 73 percent of those who received standard medical care and chiropractic care rated their improvement as pain “completely gone,”“much better” or “moderately better.” In comparison, 17 percent of participants who received only standard medical care rated their improvement this way.These results, as well as other measures of pain and function between the two groups, are considered both clinically and statistically significant. The opioid crisis has provided a wake-up call for regulators, policy experts, clinicians and payers nationwide. As the support for complementary health techniques builds, interdisciplinary and integrative approaches to chronic pain management are considered best practices. While the Centers for Disease Control and Prevention’s Guideline validates the need for a shift away from the utilization of opioid prescription painkillers as a frontline treatment option for pain relief, the mention of chiropractic care as a safe, effective and drug-free alternative is omitted. The CDC rarely advises physicians on how to prescribe medication — which further adds to the significance of their pronouncements. Many payers and state legislators have already added these findings to their coverage on the use of opioids. With the likelihood of major players in the industry adopting the well-respected guidelines, it is critical that chiropractic care receives the consideration it deserves. 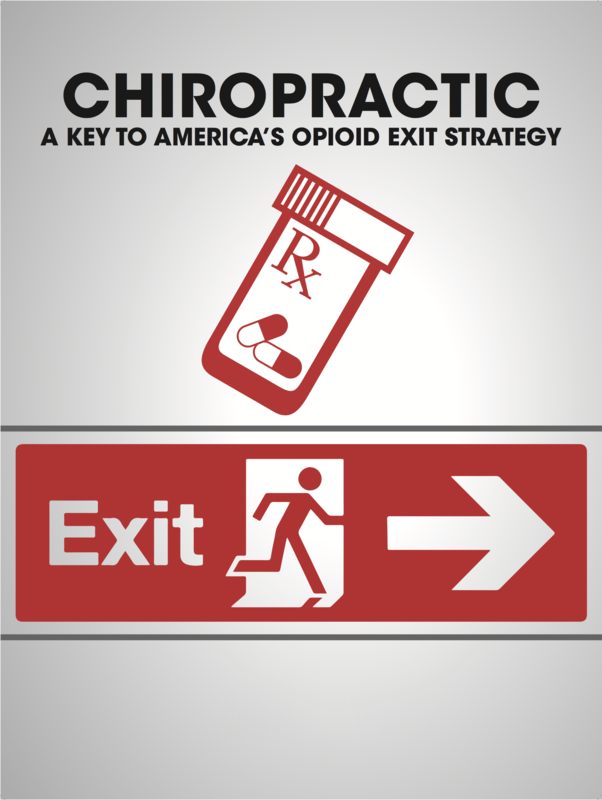 Chiropractic care has earned a leading role as a pain relief option and is regarded as an important element of the nation’s Opioid Exit Strategy: a drug-free, non-invasive and cost-effective alternative for acute or chronic neck, back and musculoskeletal pain management. Pharmaceutical Industry “Re-engineering”: A change toward responsible marketing and physician education. Physician Referrals to Ensure Access to Chiropractic Care: Physician prescribing of chiropractic care rather than opioids. Benefit Coverage and Reimbursement for Chiropractic Care: Government and commercial payers as well as plan sponsors have a responsibility to offer patients the option of chiropractic care – and reimburse DCs as participating providers. Access to Chiropractic Care for Active Military and Veteran Populations: Chiropractic care should be expanded in the Department of Defense and veterans’ health care systems. As a nation, we have all come to recognize that pain is a complex, multifaceted condition that impacts millions of Americans, their families and caregivers. Unfortunately, the lessons learned about long-term opioid therapy for non-cancer pain have been deadly and heartbreaking.We now understand that there is little to no evidence to support their effectiveness for ongoing chronic pain management. It is now incumbent upon all stakeholders to increasingly explore the appropriateness, efficacy and cost-effectiveness of alternative pain management therapies and embrace these solutions as a realistic opportunity for America’s Opioid Exit Strategy. Increased Sharply, 2002–12. Health Affairs, 35(5), 832-837. doi:10.1377/hlthaff.2015.1424. 3 J Manag Care Spec Pharm. [Published online January 3, 2017].Academy of Managed Care Pharmacy. 4 Dallas, Mary Elizabeth; Opoid Epidemic Costs U.S. $78.5 Billion Annually; HealthDay, September 21, 2016.
https://medlineplus.gov/news/fullstory_162081.html; accessed December 7, 2016. 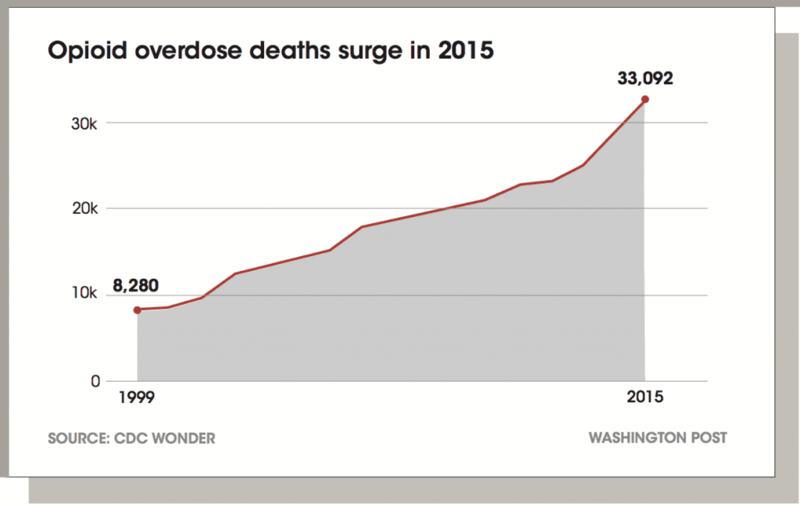 15 Cha, Ariana Eunjung, 2016.
https://jemds.com/latest-articles.php?at_id=7552; accessed December 31, 2016.
news/cdc-10-most-dangerous-drugs-linked-to-overdose-deaths/article/580540/; accessed January 1, 2017. 24 Mulvihill, et. al., 2016. 25 Cha, Ariana Eunjung, 2016. 26 Cha, Ariana Eunjung, 2016. 32 Blair, Nolan; Doctors prescribing less opioids; ABC WBAY.com, November 2, 2016. 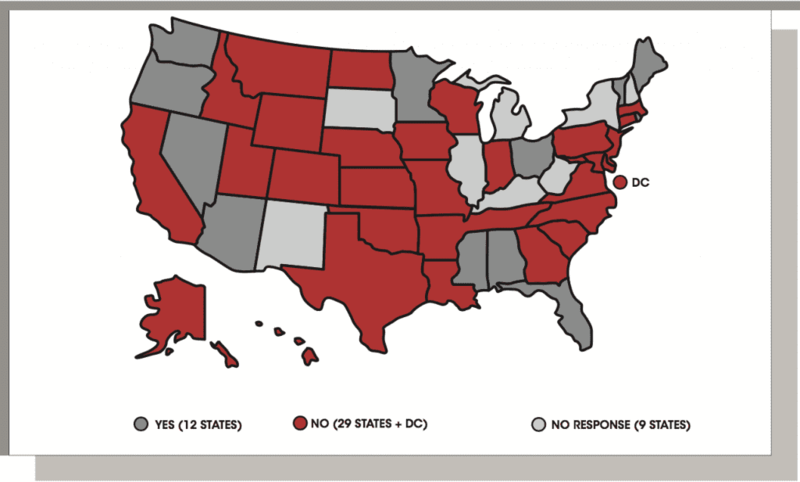 33 Centers for Disease Control; https://www.cdc.gov/drugoverdose/pdmp/; accessed January 5, 2017. 35 Nuzum, Lydia; Opioid prescriptions in US, WV down for first time in two decades; The Charleston Gazette-Mail, June 6, 2016. 37 Freyer, Felice J., 2016. America, A Blueprint for Transforming Prevention, Care, Education and Research. The National Academies Press, 2011.
http://www.painmed.org/PatientCenter/Facts_on_Pain.aspx#refer; accessed January 7, 2017. 43 Daniel C. Cherkin, Robert D. Mootz; Chiropractic in the United States: Training, Practice, and Research, 2010. Chiropractic in the United States: Training, Practice, and Research”; accessed January 17, 2017. Disorders by the OPTIMa collaboration. The Spine Journal, 16(12), 1598-1630. doi:10.1016/j.spinee.2015.08.024. 47 Doctor, Jason, October 4, 2016. 49 Deyo RA, Mirza SK, Martin BI. Back pain prevalence and visit rates: estimates from U.S. national surveys, 2002. Spine. November 10, 2016; https://www.bls.gov/news.release/osh2.nr0.htm; accessed January 8, 2017. 51 Lawlor, Joe; Back injuries most common type of injuries for workers; Portland Press Herald, October 16, 2016; http://www. of workers in Washington State. Spine 2013 May 15;38(11):953-64.
see the notes in the following references. Kaiser Family Foundation. “Medicaid Benefits: Physical Therapy Services.” Retrieved August 24, 2016. Kaiser Family Foundation. “Medicaid Benefits: Psychologist Services.” Retrieved August 24, 2016. Kaiser Family Foundation. “Medicaid Benefits: Chiropractor Services.” Retrieved August 24, 2016. 59 Neighborhood Health Plan of Rhode Island Clinical Practice Guideline, Complementary and Alternative Medicine (CAM). 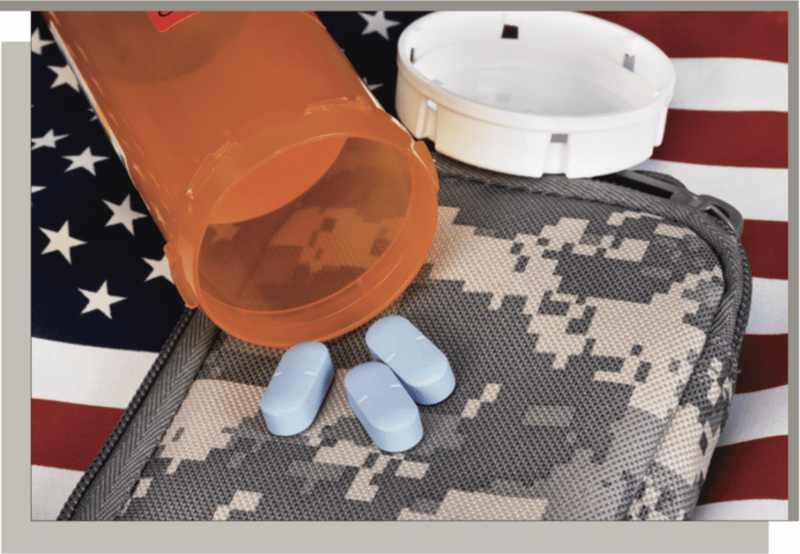 Active Duty Personnel; https://clinicaltrials.gov/ct2/show/NCT01692275; accessed January 8, 2017. Recomm Rep 2016;65(No. RR-1):1–49. DOI: http://dx.doi.org/10.15585/mmwr.rr6501e1. Charles C. Dubois, President/CEO, Standard Process, Inc.
Arlan W. Fuhr, Chairman/Founder, Activator Methods International Ltd.